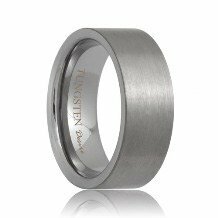 The Birmingham tungsten wedding ring features a high polished finish on the surface of the ring with a beveled profile. 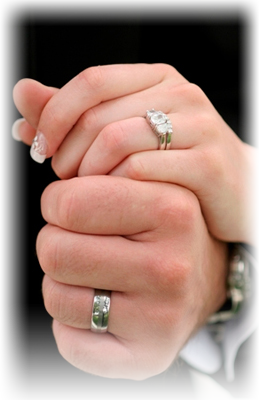 The beveled edges go around the entire circumference of the ring on both sides creating a nice frame. 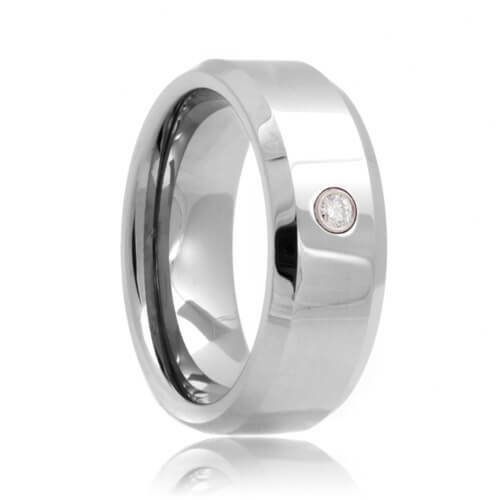 This style of tungsten wedding bands come with a brilliant round diamond solitaire stone set into the center of the ring. 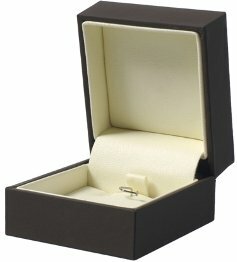 This ring is as stunning as it is comfortable to wear with its comfort fit interior. 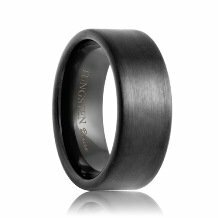 Bold and powerful, your tungsten band is guaranteed to look the same for as long as you own it. This style is made to order so please allow 5 - 10 business days to manufacture and ship. Free Lifetime Warranty and Lifetime Sizing; pay no restocking fees or deductibles! 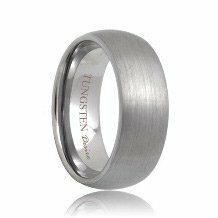 My tungsten carbide knowledge is good. With that knowledge, it was easy to use the website and compare to other websites right at home on exactly what I wanted in both quality and price. 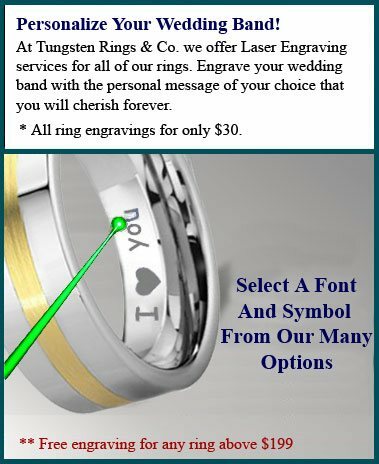 When it turned out that one of the wedding rings I ordered was the wrong size, it was easy for me to simply send it back and get a new size for free! 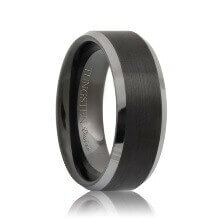 If I ever need another tungsten carbide ring in the future, it will always be with Tungsten Rings & Co.